Turn the oven on at 325 degrees. 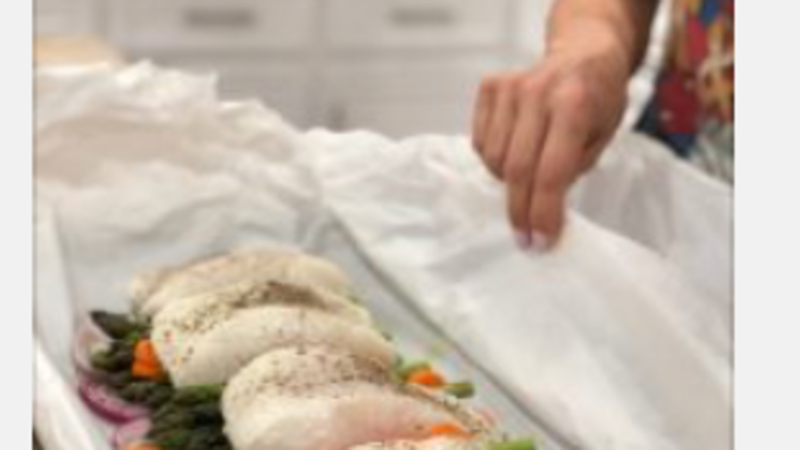 On a large piece or parchment paper, place one piece of salmon in the center and season with salt. Spread chopped veggies on top of the salmon. Add thyme and squeeze half of a lemon. Wrap the paper as a present, make sure the ends are strongly wrapped. Place packages on a baking sheet and bake for 20 minutes. Remove from oven and carefully open the packages, as the steam is hot!